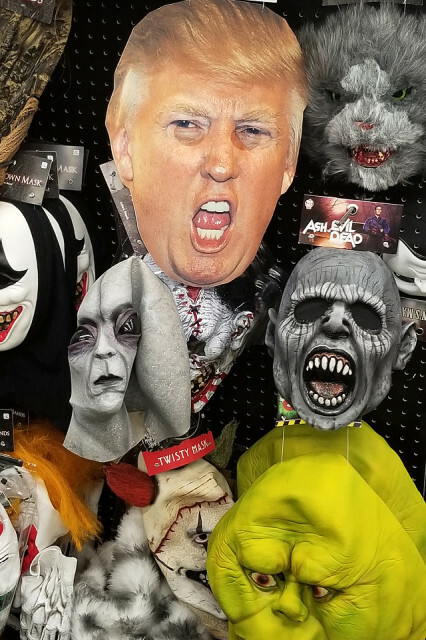 I found this shop full of Halloween masks and costumes. This one shot just caught my eye. It covers the gambit of all the scary and the clowns. Which one do you think is the most scariest?